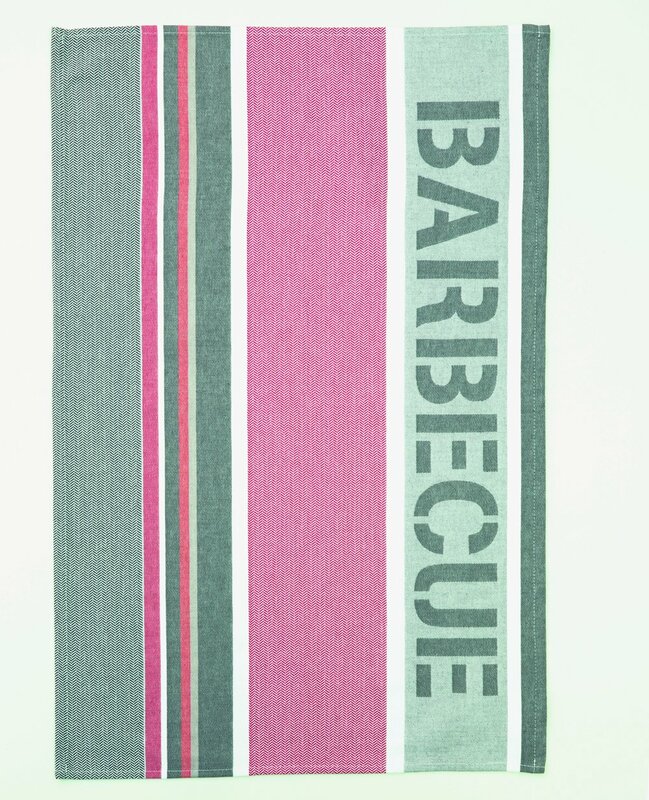 This 100% cotton tea towel from Coucke features the word "BARBECUE" lengthwise down the towel, as well as stripes in pink and grey. The perfect towel for barbecue lovers! This tea towel is 20.5" x 30".